Tutorial: Arduino Lesson 11. LCD Displays (Part 1 & 2) « Adafruit Industries – Makers, hackers, artists, designers and engineers! Tutorial: Arduino Lesson 11. 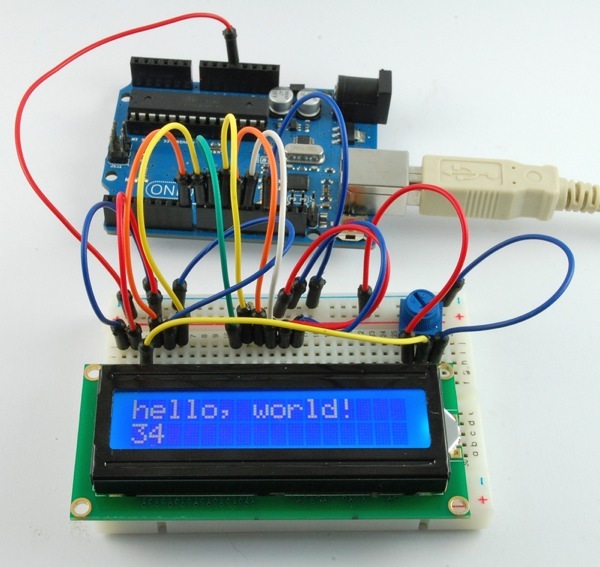 LCD Displays (Part 1) @ Adafruit Learning System and here’s part 2! In this lesson, you will learn how to wire up and use an alphanumeric LCD display. The display has an LED backlight and can display two rows with up to 16 characters on each row. You can see the rectangles for each character on the display and the pixels that make up each character. The display is just white on blue and is intended for showing text. 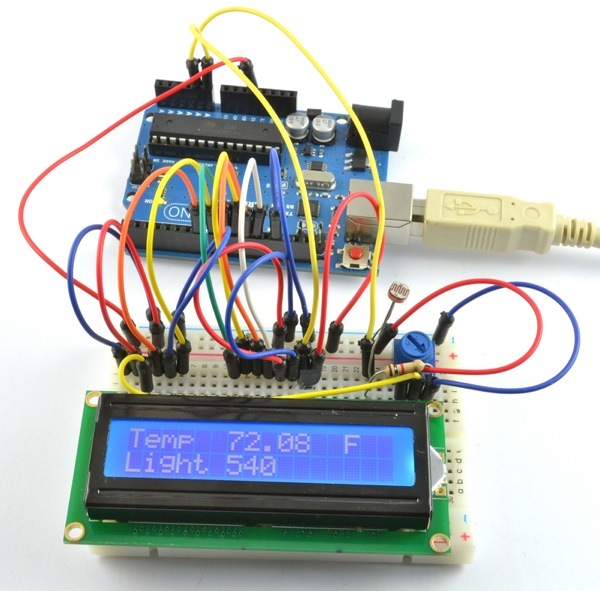 In second part of the lesson, you will build on what we have learned in part 1 and use a LCD display to show the temperature and light intensity. Learn more (part 1 and part 2). Arduino Lesson 10. Arduino Lesson 10. Making Sounds. Arduino Lesson 9. Sensing Light. Arduino Lesson 8. Analog Inputs.